In this episode #95, I talk social advertising and ad fatigue. It was like watching a social media movie. Facebook CEO Mark Zuckerberg testified before US Congress this week in response to the Cambridge Analytica privacy scandal. The 33-year-old faced questions from a joint hearing of the US Senate’s Commerce and Judiciary Committees. What did surprise many of us in the world of social media was the apparent lack of knowledge of the political representatives delivering the lines of questioning. The now viral video of Senator Orrin Hatch asking Zuck how he is able to sustain a business model in which users do not pay was jaw-dropping. Even Zuck couldn’t keep a straight face! The Guardian has an excellent round-up report which I recommend you read if you’re a social media nerd like me! “I think whenever there’s something that affects the public good, then there does need to be some form of public oversight. I do think there should be regulations on AI. I think there some should be some regulations on social media, to the degree that it negatively affects the public good. We can’t have more clicks on fake news than real news. Staying with ‘honesty on social media’ Twitter says it will comply with proposed new laws to combat political interference in elections. The proposed Senate Bill in the US would require technology platforms that sell advertising space to disclose the source of and amount of money paid for political ads. Called the Honest Ads Act, the bipartisan bill was first introduced back in October by Senator Amy Klobuchar, Senator Mark Warner and Senator John McCain. The regulation of online political advertisements is a direct result of Russian interference in the 2016 US election, in which thousands of fake Kremlin-linked accounts were used to share fake news through social media. In this episode, I interview Joe Sweeney, Content Marketing Manager with MakeMeReach.com. MakeMeReach is a social advertising platform that helps brands and advertisers create, manage and optimize their marketing campaigns on social channels. Having received awards for its innovative technology, MakeMeReach is an official Marketing Partner of Facebook, Instagram, Snapchat and Twitter. Joe is a words guy. He’s a qualified marketer, who believes in the power of quality content to start great conversations between consumers and brands. He also hosts a weekly social media podcast called ‘Hello Social Ad-dicts’, available on SoundCloud and iTunes. Joe references his article on ad fatigue which you can read here. In this episode, I share three successful Facebook ad hacks. Refinery 29 is an independent fashion and lifestyle website. The brand generated two different Facebook ad campaigns, both aimed at bringing in new subscribers to their website. One “sustained call-to-action” campaign over 12 days featured ads that employed creative and images focused strictly on generating subscriptions. The other campaign over the same period featured different “sequenced” ads that first told the brand story, next provided product information before inviting people to sign up. Ads for both campaigns were served in News Feed to lookalike audiences, increasing the chances that people would become high-value customers. People who were exposed to all three of the ads in the sequence converted at higher rates than those who had seen just one or two of the ads. People who saw even just one of the ads converted at higher rates than people in the control group who saw no ads. It’s important to have a long-term view when investing in Facebook ads. Bringing prospects through a funnel is a great approach. So, using the Facebook pixel, you can create a custom audience for people that have watched more than 10 percent of your video which is your first ad. For example, I’m promoting my Public Sector Digital Marketing Summit and have a video explaining what the event is all about. I’m then going to run an ad towards those people for the Summit event landing page where they can read more. The third ad is a conversion focused ad aiming to get people who clicked the link in the previous ad to register for the Summit. Lookalike audiences are essentially dynamically generated audiences using machine learning. Basically, you provide Facebook with a list of email addresses of people taken from your email marketing database, for example, MailChimp. Then Facebook algorithmically analyses them for commonalities, e.g. demographics and interests. They then search for these commonalities among a broader audience to piece together a tailored list of 1 million or more Facebook users who would be ideal for you to target. The list Facebook then outputs back to you is called the lookalike audience. In this week’s Ask JSB, my question comes from Sandra Losty, aka The Wedding Lady. 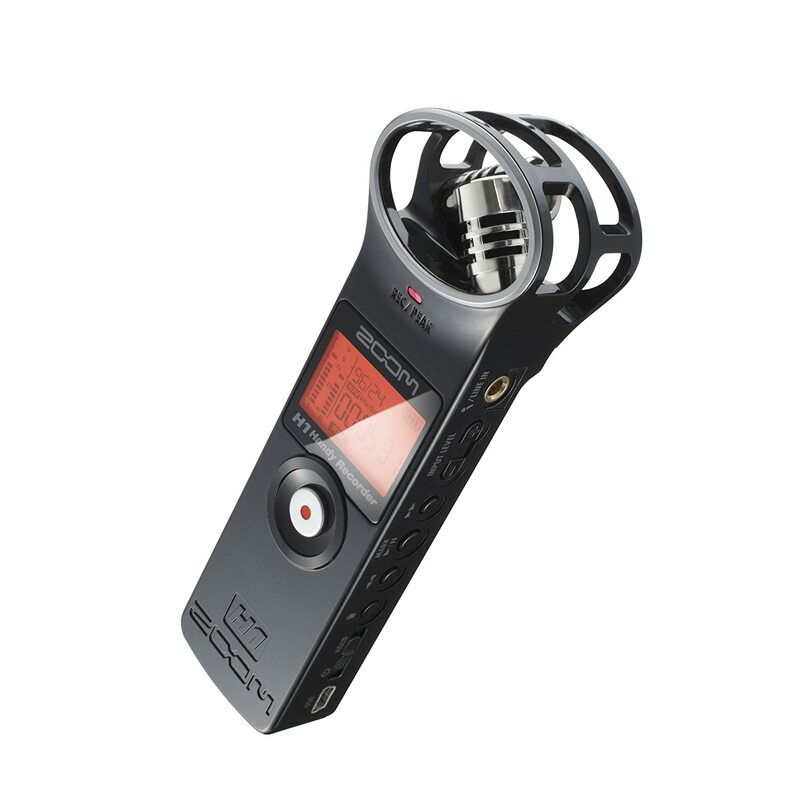 To record audio, I use the Zoom H1. I bought it about 18 months ago from Amazon for around €100. I carry it everywhere with me and use it for podcast interviews, Ask JSB questions and even recording myself when I’m speaking at events. I also use the audio from my zoom for my vlogs which I record on my phone. Audio is powerful content that can be re-produced for video and blog posts. My tripod is the Joby GorillaPod 3K Stand Flexible Tripod built to support SLR Cameras up to 3kgs. In today’s JSB’s column, I want us to re-think our social ads strategies. Get rich quick schemes never really took off and that approach doesn’t work on social ads either. Business as you know takes hard work, trial and error and investment. So, consider these rules apply also to being successful when you are advertising on any social network. Creativity is at the heart of great ads. We’ve got to stop the lightning-speed thumb-rolling so using animation or video or a photo that speaks to your ideal prospect will have more impact. We’ve already heard Joe speak about ad fatigue, and if we think about it, we are all suffering from it! However, we will thank the advertiser that serves us the perfect ad that meets our exact needs. That is the sweet spot, the intersection of brand relevance and customer need. 68% of Facebook users access the site via mobile, on Twitter its 96%, meanwhile over on Instagram it’s 98% and Snapchat is 100%. We must make sure our content is fully mobile optimised, as most people will interact with it on smartphone in those crucial micro-moments when we can step in and give our brand a voice. It’s an every-changing landscape, social advertising so we must be nimble enough to transition with every feature and policy update. If you want help with your social advertising strategy, then get in touch. Simply email joanne@digitaltraining.ie. The social media tool that saved my working week this week is Bonjoro. I’ve already mentioned that personalisation and relevance are key to successful social ad campaigns. My new discovery this week really fits this brief. Sending personalised video messages to my contacts on LinkedIn to tell them why they should come along to the Public Sector Digital Marketing Summit. Connecting MailChimp to Bonjoro will create a new Bonjoro for every new subscriber to my list. By syncing your mailing list subscribers with Bonjoro you can send Bonjoros to all your lists or just one. Emails are sent via a Bonjoro email.